The innovative professional treatment that dramatically smoothes, straightens and eliminates frizz in the hair. This unique blend of intensive protein conditioners help to fortify, protect and seal the hair’s cuticle. 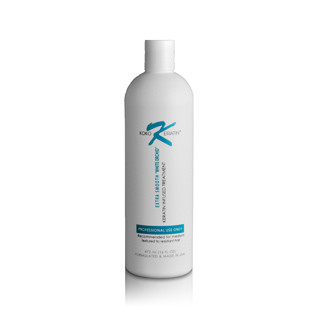 White Orchid Keratin treated hair is left with silkiness, regained elasticity, softness and vibrant shine. Recommended for most hair types, follow all instructions and watch the DVD before application.